Mr. Smolnik is Of Counsel with Pastore & Dailey LLC. Mr. Smolnik has practiced in the areas of tax, business transactions, and tax-exempt organizations for almost 30 years and has helped numerous organizations thrive while meeting their responsibilities and opportunities with tax and business law. He has extensive experience representing insurance companies, banks, and international corporations in tax, regulations and organizational law issues. He has developed transactional strategies for enterprises of all sizes, both private and public, including government and private sector contracting, Veteran Owned Small Business, and Minority and Disadvantaged Owned businesses. Mr. Smolnik's core competencies include: Tax strategies for Mergers & Acquisitions, Start-up Organizations, Joint Ventures and Pass-through enterprises; Tax Exempt Structures and Operations; Quantitative Financial Modeling; Employee Incentive Compensation; and Business Structuring including Reorganizations & Recapitalizations. Mr. Smolnik holds his Juris Doctorate degree from Valparaiso University and his MBA from the Massachusetts Institute of Technology. He has published dozens of articles in professional journals and lectures frequently to law and accounting professionals. 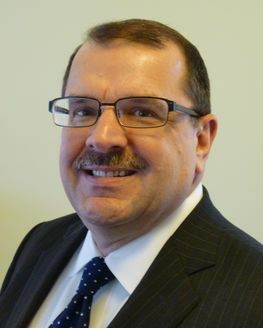 He is Secretary-Treasurer of the Tax Section of the Connecticut Bar Association, where he chairs the Federal Business Tax Subcommittee. He was also recently appointed by the Connecticut General Assembly to the Commission on Connecticut's Leadership in Corporation & Business Law. He will be chairing the subcommittee on tax law and policy. University of Rochester, 1982, B.A. Massachusetts Institute of Technology, 2006, M.B.A.
Mayor Curt Balzano Leng has recently appointed Mr. Smolnik to the Hamden Inland Wetlands Commission. The Commission enforces all provisions of the Inland Wetlands and Watercourses Act, and issues or denies permits for all regulated activities on or affecting inland wetlands and watercourses in the Town of Hamden.